Enjoy the serene environment of Jasmine Parke Luxury Apartments, an intimate gated community with a welcoming atmosphere. Our ideal location places you within close proximity to the area’s best shopping and schools. Jasmine Parke also provides easy access to the Stockdale Highway. 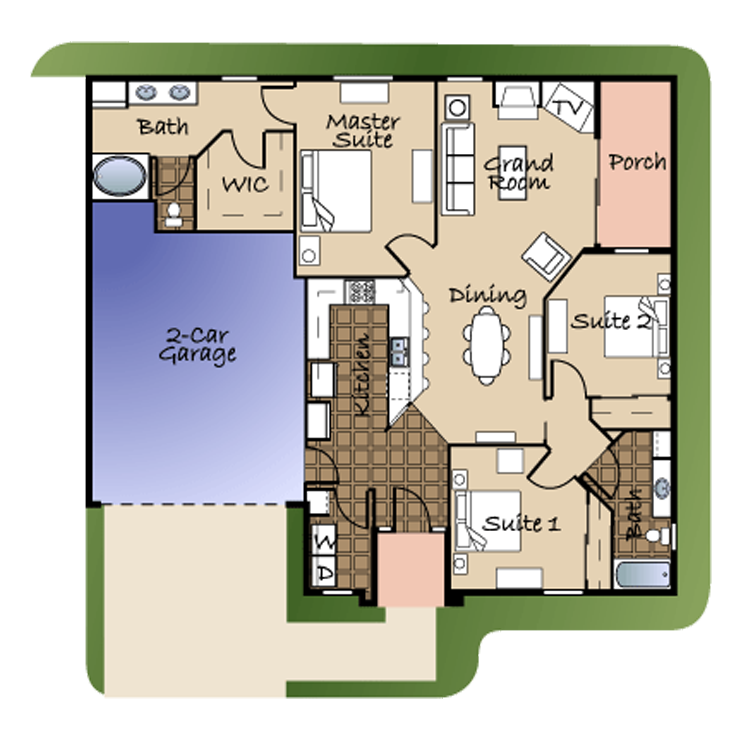 Choose from one of the three spacious two and three bedroom floor plans offered at Jasmine Parke. Uniquely designed with the amenities that you deserve, our community strives to make your life a little easier. Tiled entryway and kitchens, Moen fixtures, GE appliances and a 2-car attached garage are just a few of the exciting features included with each apartment home. At Jasmine Parke exceptional location, luxury and personal service create a residential setting of unparalleled quality and value. Enjoy a refreshing swim in our resort-style pool or treat yourself to a rigorous workout in our state-of-the-art fitness center. Visit our photo gallery and see why Jasmine Parke Luxury Apartments is the perfect place to call home.